Professor Lester Hunt has over 30 years’ experience working in energy modelling and policy. He holds a BSc (Hons) in Economics with Econometrics from Loughborough University, an MA in Economics from the University of Essex and a PhD in Economics from the University of Surrey. 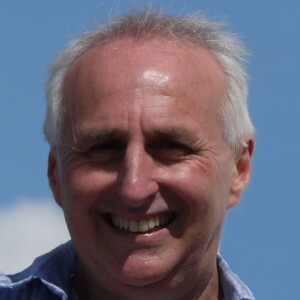 Lester previously worked at the Universities of Essex (1979-1980), Swansea (1980-1985 & 1987-1989), Surrey (1989-1991 & 1999-2017), and Portsmouth (1994-1998). He was Head of the Departments of Economics at Portsmouth (1996-1998) and Surrey (1999-2003) and was Director of SEEC, the Surrey Energy Economics Centre (2003-2015). Lester has also worked as an Economic Adviser in the forecasting division at the HM Treasury (1985-1987), an Energy Analyst/Economist at Midlands Electricity (1991-1994), and as a Senior Research Fellow at KAPSARC (King Abdullah Petroleum Studies and Research Center) in Riyadh, Saudi Arabia (2015-2017). Lester returned to the University of Portsmouth in 2017 as Professor and Head of Economics and Finance. He has published a number of research articles in the leading energy economics journals and is currently an Editor of The Energy Journal. For a list of his publications, please visit Economics and Finance, University of Portsmouth.